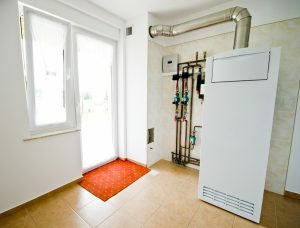 How to Avoid Furnace Issues This Winter | Comfy Heating Air Conditioning Inc.
It’s that time of year—the time where temperatures begin to cool off and we feel relief from the sweltering summers we experience. Time to turn on our heating systems and bask in the warmth, right? Well not quite—have you scheduled maintenance yet? Preventive heating maintenance isn’t just a fancy idea we throw out there for our best customers—it’s a necessary part of keeping every homeowner’s heater working as efficiently and effectively as possible! This is a service that should be performed once a year. With professional maintenance, you can count on your furnace lasting as long as it’s meant to, and performing at its best while doing so. Of course, repair needs may crop up during your maintenance appointment, and sometimes even between tune-ups. It’s important to know the signs of these repair needs as well as how to avoid problems with your furnace before winter hits. There’s a fairly common misconception that your HVAC air filters only need to be changed during maintenance. This is not the case, however. A clogged air filter can seriously impede the performance of your furnace, and if you’re also using a central air conditioner, it’s even more imperative that you change your air filters as needed. Depending on the level of contaminants in your home and what type of air filter you have in place, you should be changing it every 1–3 months during periods of use (for both your central furnace and air conditioner). Naturally, the more you use your furnace as cooler temps become more consistent this season, the more your heating bills will rise. However, they shouldn’t rise any more than they did last year around this same time of year. At least not if you’re using it relatively the same amount of time you were last year. If you’re still unsure, ask your neighbors. If your heater use is relative to theirs and they are paying less, there’s a good chance that something is causing your furnace to perform inefficiently, which means you should give our HVAC pros a call! The first few times you turned on your furnace this season, you may have noticed a slight burning odor. A little bit of this is normal, since your heating system has basically been stagnant for months on end—it’s simply dust burning off. But if the funky smell persists, it may be the sign of something more dangerous. If the odor evolves into something akin to chemicals, electrical burning, rotten eggs, or smoke, it’s time to call for repairs—now! What if the smell is okay, but you hear odd noises? If these noises resemble clanging, banging, grating, or hissing, then you could at least benefit from a call to our pros. Loud and/or unfamiliar noises coming from your furnace can indicate a wide variety of potential problems with your furnace, and the best way to go about fixing them is to have a professional from our team come out and assess the situation. For quality heating repair in Dublin, CA, and more, contact Comfy Heating & Air Conditioning Inc. today!